I am installing a small bridge, and had figured out approximately where I need it to go. In plan it looks great, but what about in Profile? What is an easy way to get this structure overlaid on my profile? 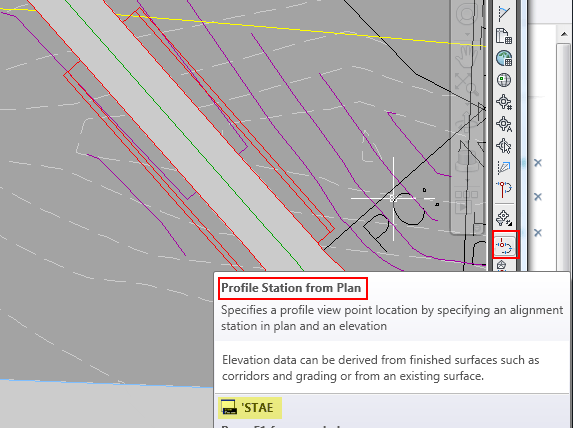 I selected my Profile View, then picked the station right from the plan view. I was then prompted for an elevation. I don’t know exactly what elevation to set it at, so I entered a close round number like 44. I picked my second station, and gave it the 44 elevation again. The process is repeated for each line vertex until you escape out of the Transparent command. 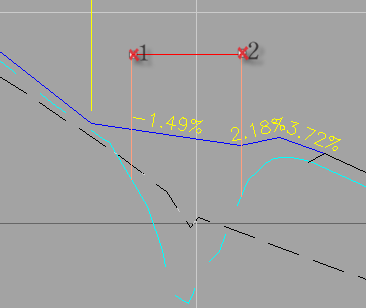 A quick look at the Profile View and you can see the line segment that was added. Now I can easily tune the FG profile, and adjust the bridge locations if needed. BTW, You can also use the command to draw directly to the Profile with no Plan view interaction, if you enter known stations and elevation at the command line, but then ‘PSE Profile Station Elevation is a better option. Civil BIM | Is it Coming to my Cloud?